My wife left our windows open last week, I woke up in the middle of the night shivering cold. That can only mean one thing...fall is getting near! Bring it on! A few weeks ago Danny, his girlfriend Ashley, my brother-in-law Kelly, and I made a pretty decent ascent up one of our favorites mountains. We camped on a nice perch for viewing animals. We were not let down. 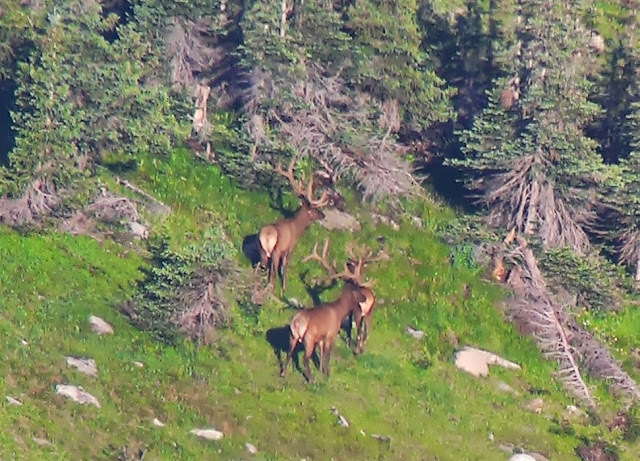 I woke up, opened my tent, started some coffee, and spotted a group of big bulls from my sleeping bag. Is there a better way to start a day? Overall we spotted a lot of elk, and a few good bachelor groups of big bulls. 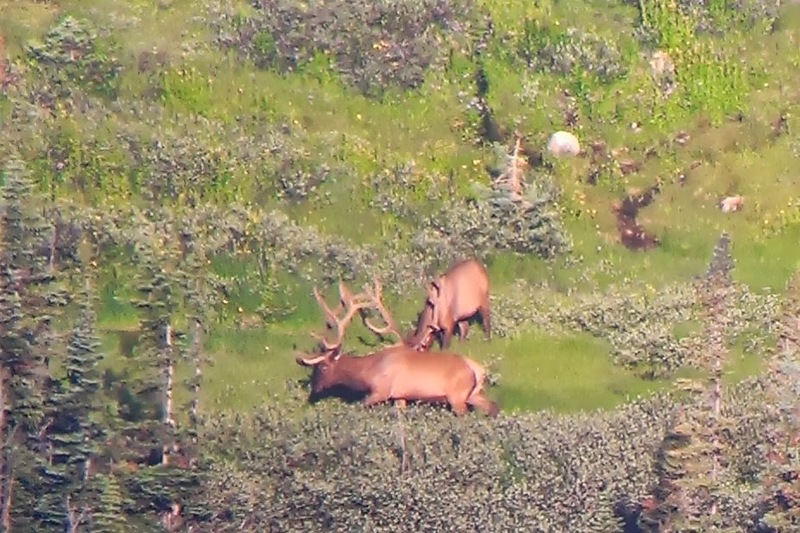 The biggest bull that we saw was right at dusk, the minimal light only gave us a picture of a blurry fuzz ball. The bull was a stud, big 5th points, huge 4's, and sweeping brow tines that made it hard to sleep that night. He would have made this blog post an instant classic. Below are a few pictures that came out alright. 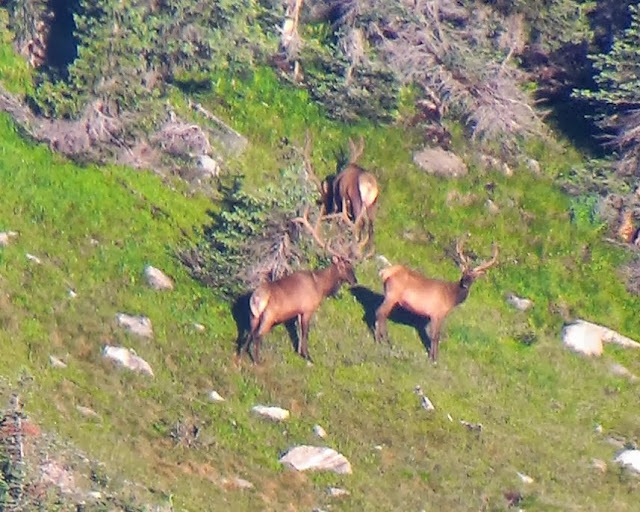 The pictures of these elk were taken from 1.25 miles away. Once again we were using the new Swarovski ATX 30 70X95 spotting scope. 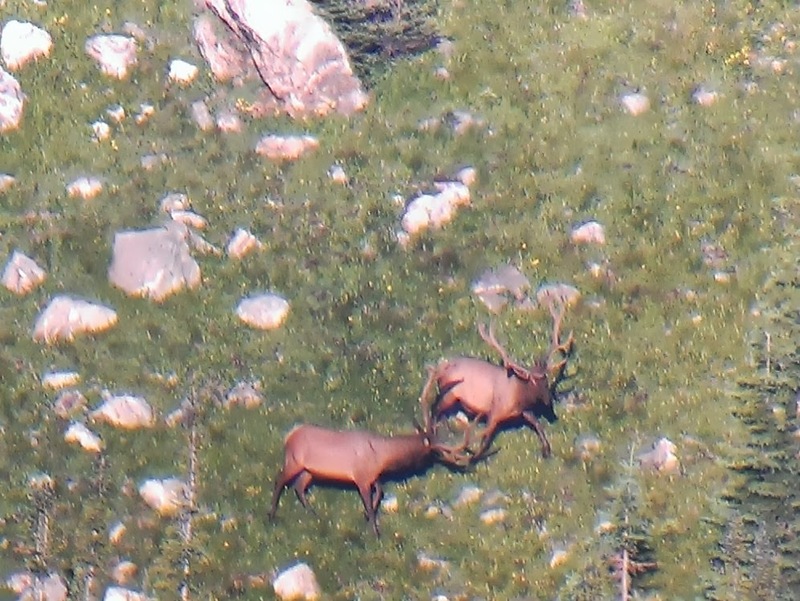 The pictures were taken through the scope with a cell phone. The few pictures I took through my SLR camera were absolutely amazing, but none of elk. 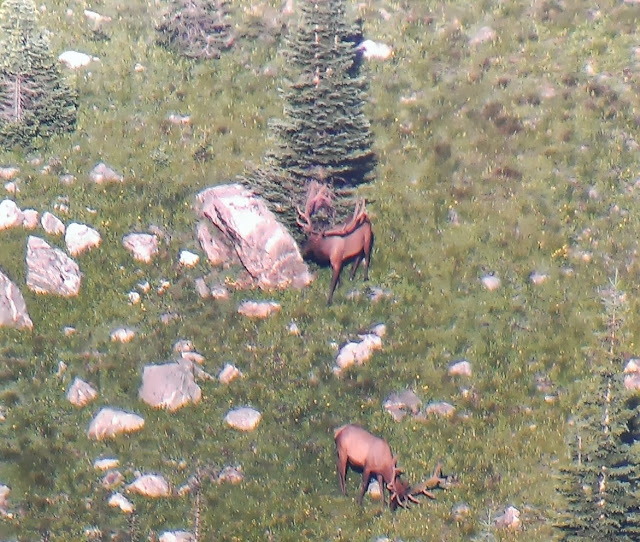 When the elk were standing in the open the wind and our lousy tripod wouldn't allow us to get good pictures with the SLR camera attached to the scope. I am going to throw some money towards a better tripod, then we will be rockin'! 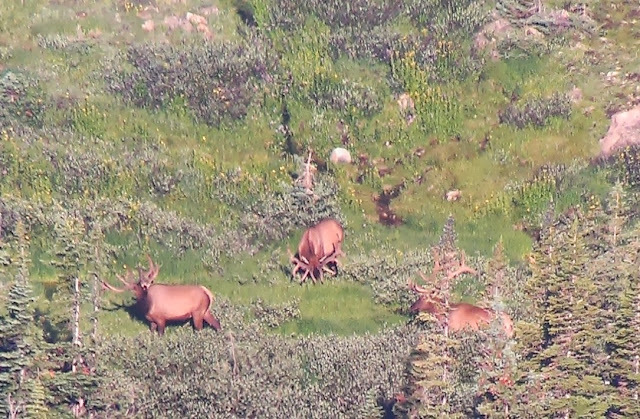 This nice bull was worth the hike. We needed to leave about the time the elk bedded down for the morning. Danny found this guy right before we packed up, I think he was challenging us to find him. 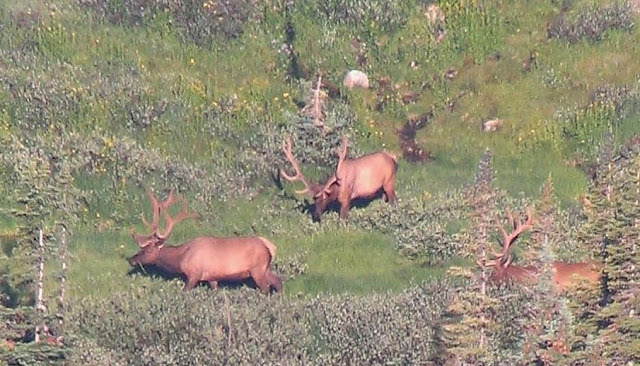 We'll see you again Mr. Bull, soon.